Platted in 1815, Orleans stands as the oldest town in Orange County. Founded two months after Andrew Jackson’s famous victory over the British in New Orleans, the settlers named their new town to honor this event. Samuel Lewis, one of the founders, later became a prominent figure in Texas after he fought for Texas independence from Mexico and served as a senator in the first two congresses of the Republic of Texas under Sam Houston’s presidency. Dogwood trees line Ind. 37 in northern Orange County. 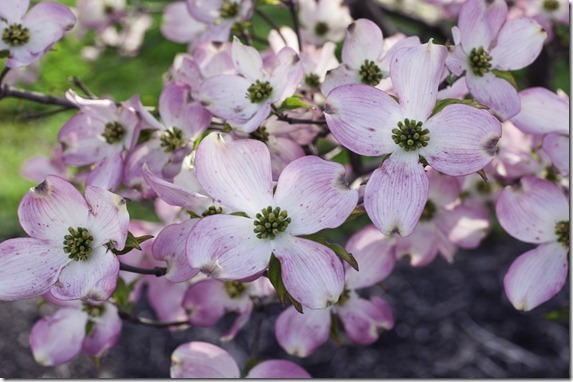 The dogwood is the trademark of Orleans. 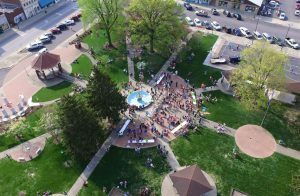 “Operation Dogwood” ,launched in the mid 1960s, has succeeded in it’s goal of having hundreds of the trees planted along roads, in the historic town park square and in yards. The annual Dogwood Festival is held in late April. The historic Orleans town square is called “Congress Square”, meaning public square. It is also referred to as “Seminary Square” after the Orleans Academy that stood there from 1864 to 1963. Whatever we call it, the square has something for everyone: shelter houses, playground equipment, a restored picturesque 1926 brick bandstand, vintage gas lights, veteran’s memorial, and more. Visitors also enjoy our beautiful fountain and sculpture located at the center of the park. In the winter of 1851-52, the L.N.A. & Railroad (then called “The New Albany-Salem Railroad”) was built to come through town. To secure the railroad for Orleans, the citizens gave $40,000, all by private subscription, which was a remarkably large amount considering the time and size of the town. 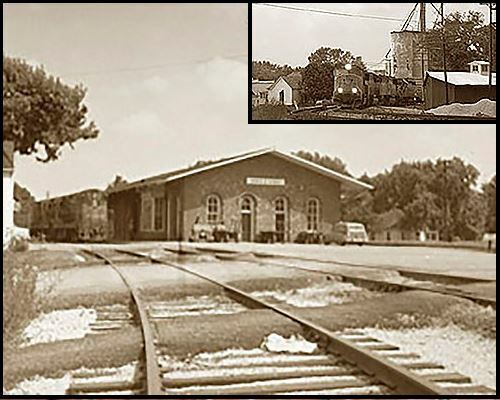 The railroad curved to pass through the town and added greatly to the development of the community. Three hotels with livery stables were needed to accommodate travelers brought into town by the railroads. One of the more famous stories pertains to the loves of Elizabeth (Libbie Shindler). While visiting her relatives in Philadelphia, the young lady from Orleans met the wealthy hat manufacturer and widower, John B. Stetson. They were soon married and she became heiress to the Stetson hat fortune after her husband’s death in 1906. Elizabeth would next marry a Portuguese nobleman and take the title of Countess. 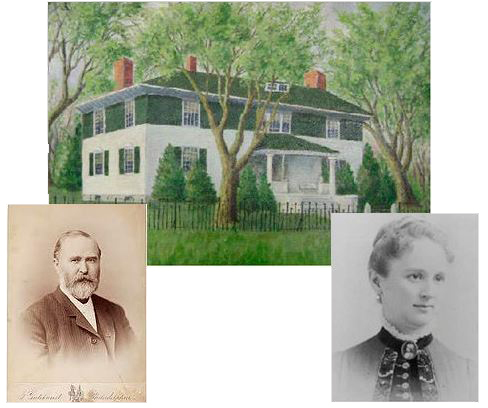 While she was Mrs. Stetson, her husband presented a house to her. The house was pre-cut and fabricated in Philadephia. Imported workers constructed the house in Orleans around 1894. The house is known as the “Story Book House” or “The House That Hats Built”.